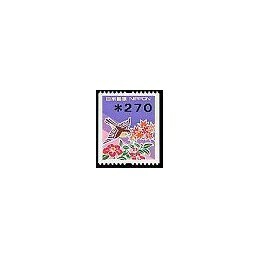 Omron (10.04.1997) - Nature of Japan. Mint ATM, design 2, small value (270 Y). Omron (10.04.1997) - Nature of Japan. URGENT cover mailed to Spain - 2003. See picture. Omron (10.04.1997) - Nature of Japan. 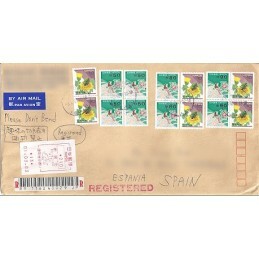 REGISTERED cover mailed to Spain - 2000. See picture. 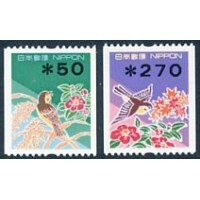 Omron (10.04.1997) - Nature of Japan. 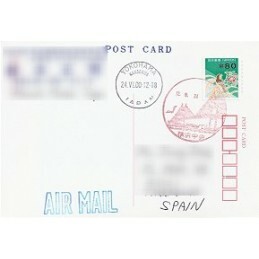 REGISTERED cover mailed to Spain - 2003. See picture. Omron (10.04.1997) - Nature of Japan. Cover mailed to Spain - 2002 (x120). See picture. Omron (10.04.1997) - Nature of Japan. Cover mailed to Spain - 2006 (90 Y). 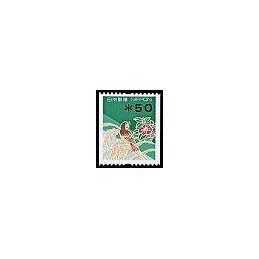 Omron (10.04.1997) - Nature of Japan. Postcard mailed to Spain - 2000 (80 Y), pictorial postmark. See picture. Omron (10.04.1997) - Nature of Japan. 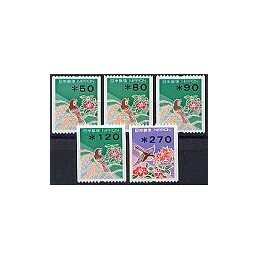 Mint set 5 values (50-80-90-120-270 Y). Omron (10.04.1997) - Nature of Japan. Mint set 6 values (50-80-90-120-130-270 Y).